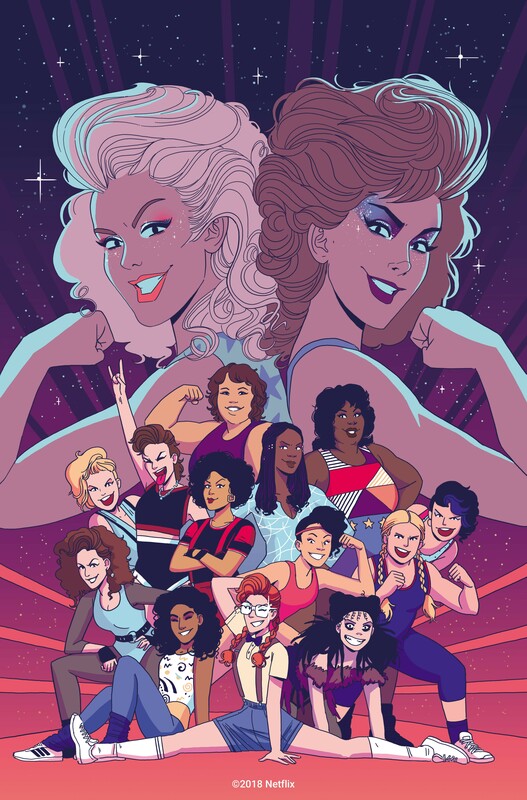 San Diego, CA (December 18, 2018) — IDW Publishing enters the world of hairspray and headlocks with the announcement of a four-issue comic book miniseries based on GLOW, the acclaimed Netflix Original comedy series. Debuting in March, the GLOW comic is written by Tini Howard (Euthanauts, WWE, Rick & Morty) and drawn by Hannah Templer (Jem and the Holograms: Dimensions). Liz Flahiveand Carly Mensch, the co-creators of the show, will officially serve as executive producers of the original comics, overseeing their creative development.